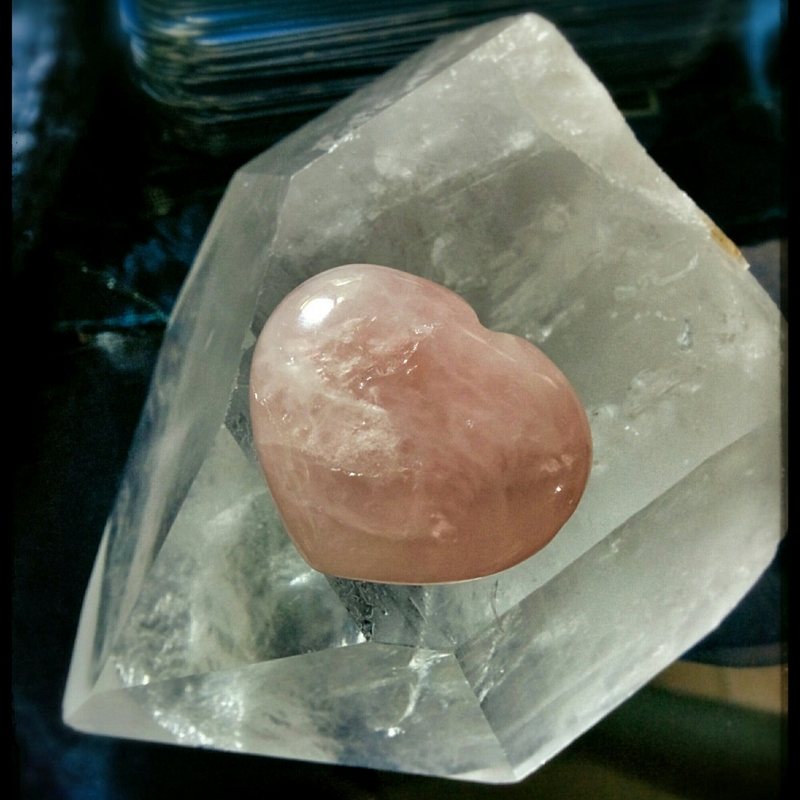 For the last few years I’ve been getting a quartz heart stone for myself. Sometimes the heart symbolized my own heart, sometimes it symbolized my growing Self Love, but regardless of what it represented at different times in my life, it was always a significant part of my experience. I would hold it and sleep with it, where I went it followed. But always there would come a time when the stone would be ready to move on, and I would lovingly send it off on its way with someone who needed its loving energy. My last heart stone found a new home with a wonderful friend a few months ago, and today I felt once again that it was time for a new one. Today was a wonderful day, I felt clear, loving guidance from my guides as I made my way from one wonderful experience to the next. And through the beautiful synchronized effort of the Universe, this gorgeous heart made its way to me through the path of my Mom. I’m so happy to have this lovely, loving crystal in my possession, and will be always reminded of the love that made it possible for this gorgeous stone to find its way into my hand.